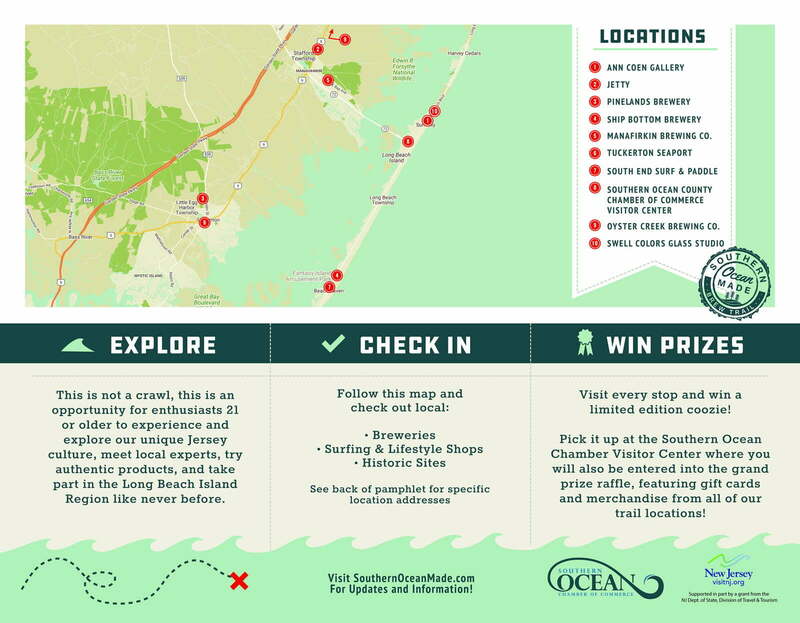 This is not a crawl, this is an opportunity for enthusiasts 21 or older to experience our unique Jersey culture, get to meet local experts, try authentic products, and take part in the Long Beach Island Region like never before. 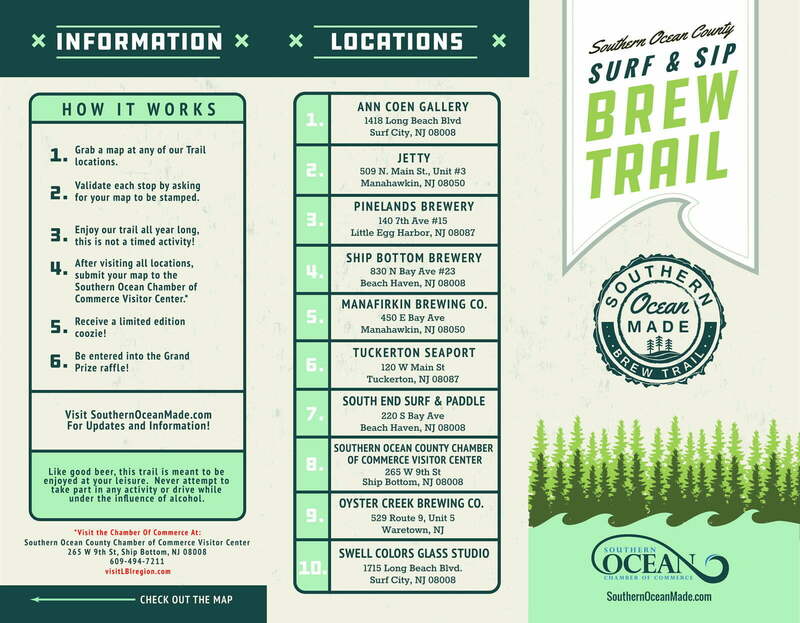 Begin by picking up a Surf & Sip Brew Tail map at any of the locations listed below. At each stop, ask for it to be validated. This will become your verification of the stops you made. 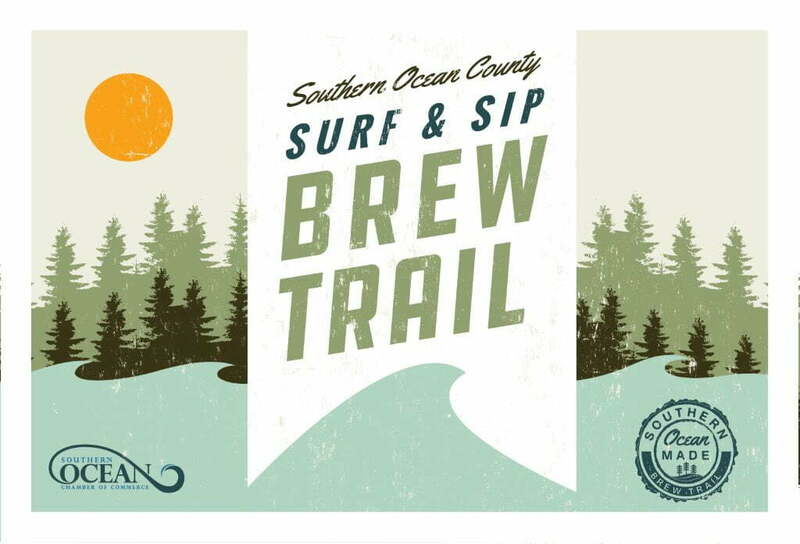 Our trail was created to be enjoyed throughout the year, it is not a timed activity and all completed entries can be submitted to Southern Ocean Chamber Visitor Center for signature trail Koozie. In addition to the breweries that are located throughout our region, you will find other stops that reflect our surfing history and lifestyle. No purchase is necessary to enter or get your map validated. We encourage you to check out locally designed and manufactured surf related products, as well as scheduling lessons or SUP tours for future visits. Like good beer, this trail is meant to be enjoyed at your leisure. It is not a challenge, do not attempt to take part in any surf activity or drive under the influence of alcohol.